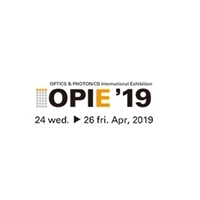 Note: Your Quotation Request will be directed to Opto Diode Corporation. 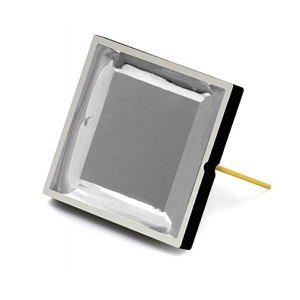 The AXUV100TF400 from Opto Diode Corporation is a 100 mm2 Square Active Area Photodiode with integrated thin film filter. It has a detection range of 18 nm to 80 nm and responsivity of 0.15 A/W @ 40 nm. 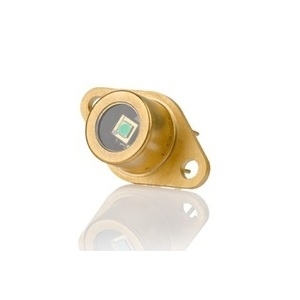 The photodiode is ideal for use in detecting solar EUV radiation, soft x-ray radiometry, x-ray and EUV lithography, x-ray microscopy, and XUV spectroscopy. It is shipped with a protective cover in a black plastic container.